Loomstate !Act Natural! 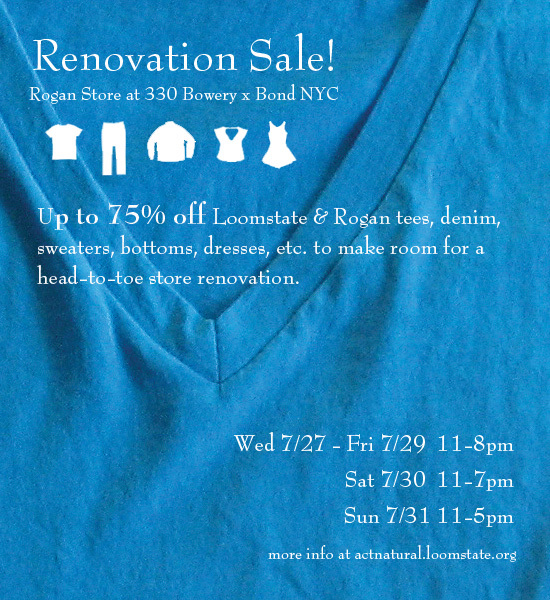 Blog: Renovation Sale! Better than painting parties, this mid-summer Renovation Sale will have everything from tees and jeans to dresses and knits at up to 70% off. It's time for some Summer cleaning to prepare for a big store makeover! There'll be a treat for every purchase! See you next week!